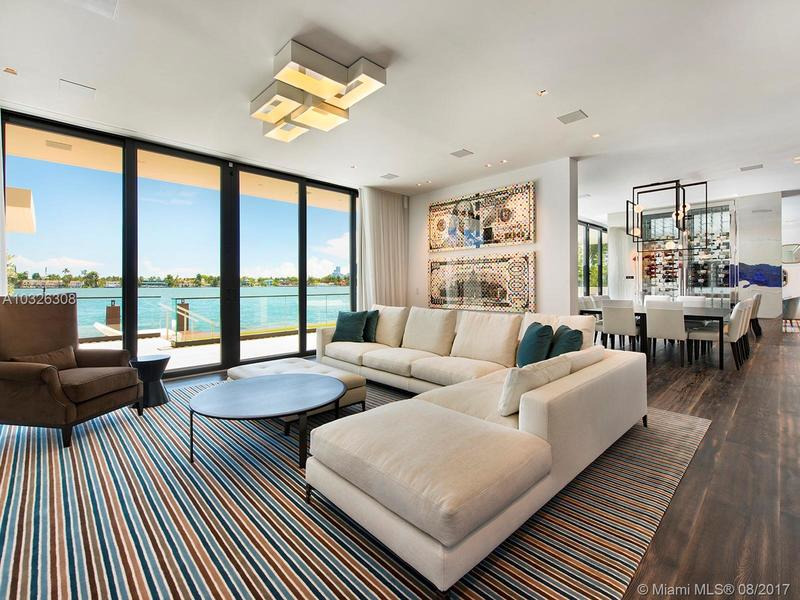 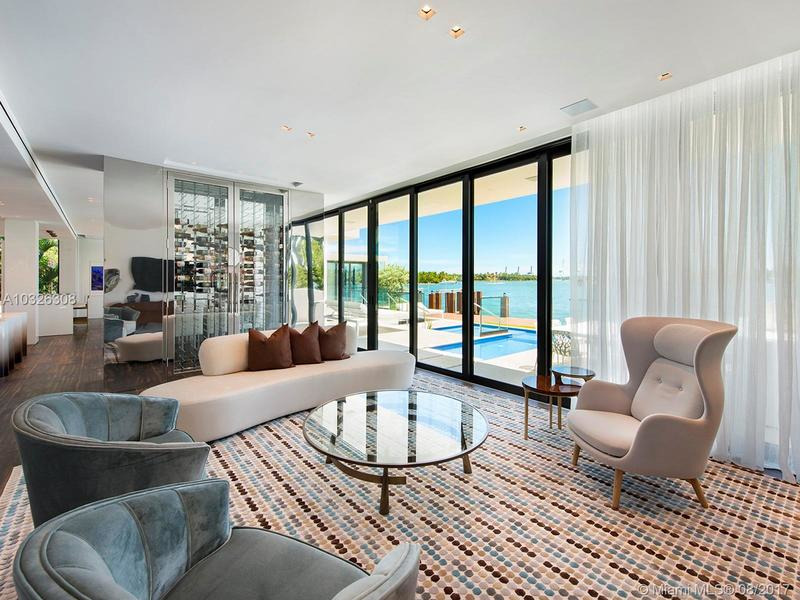 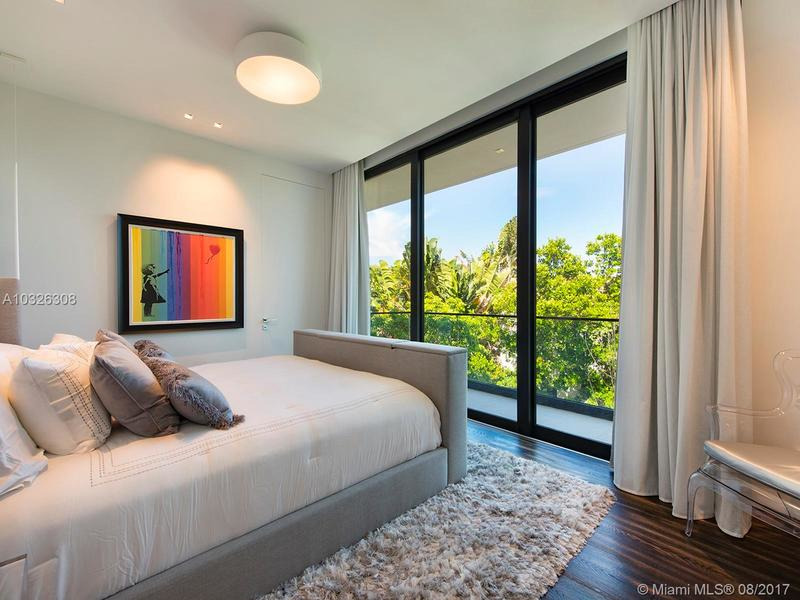 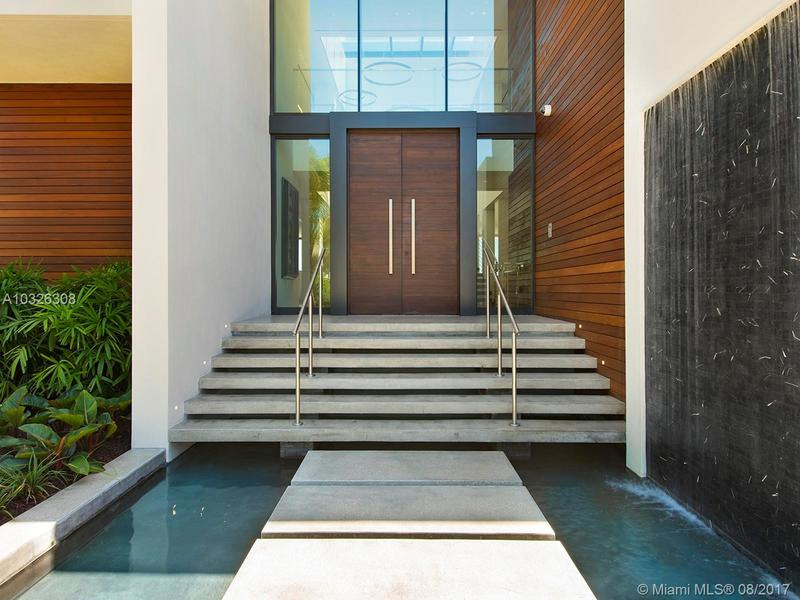 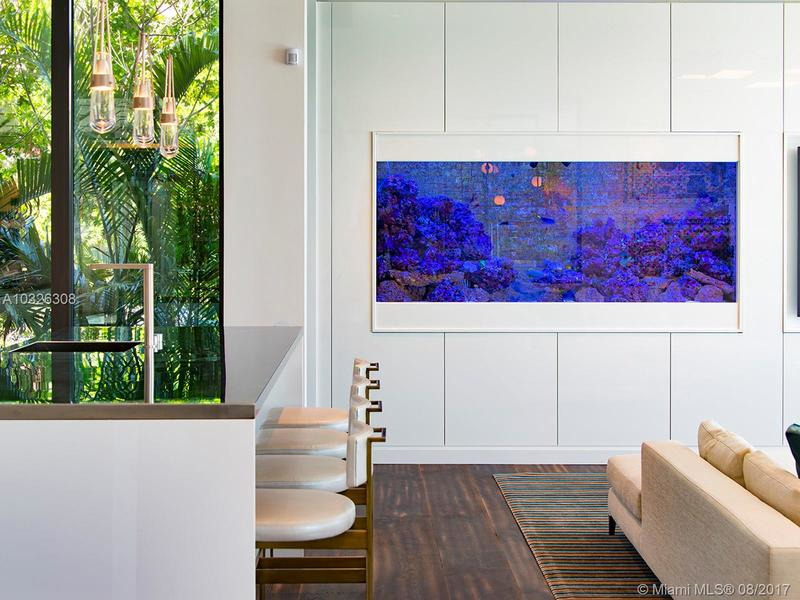 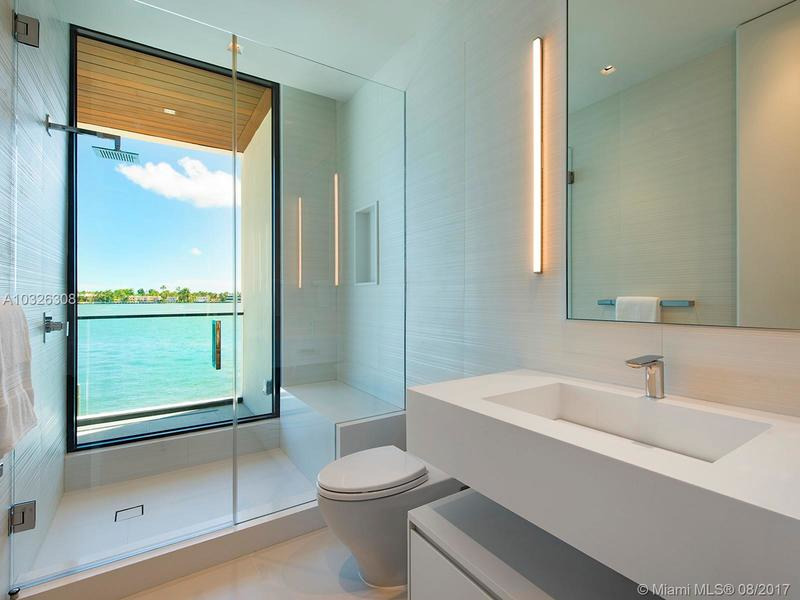 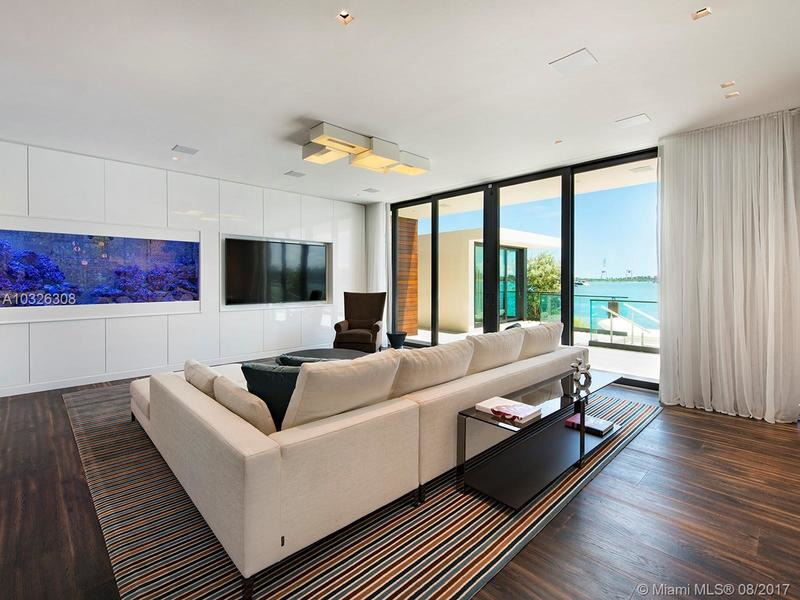 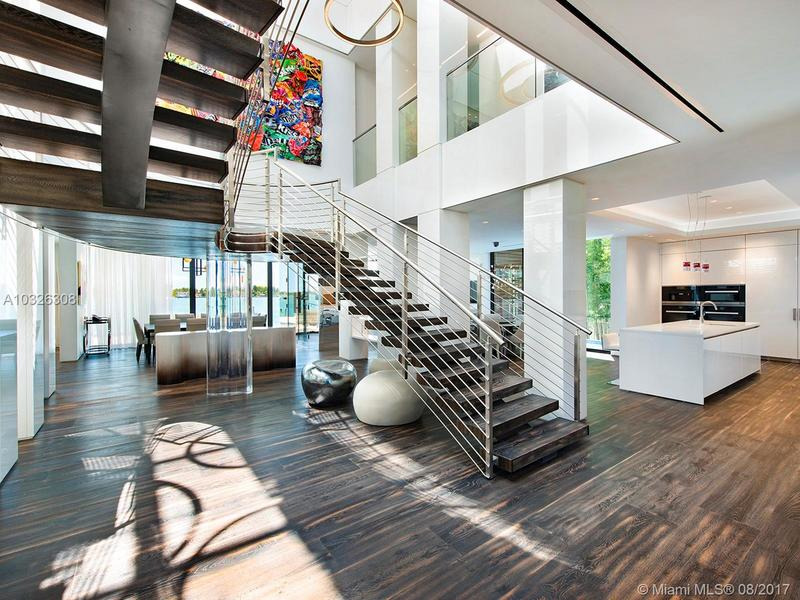 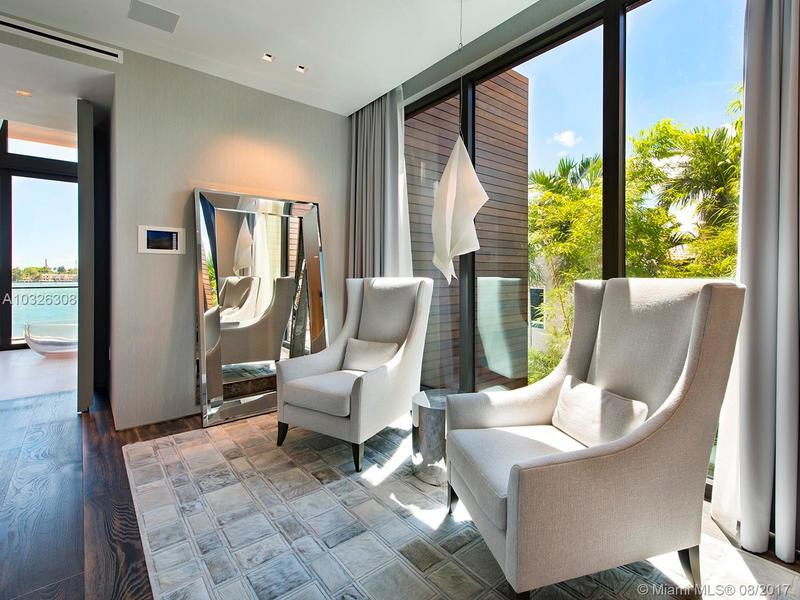 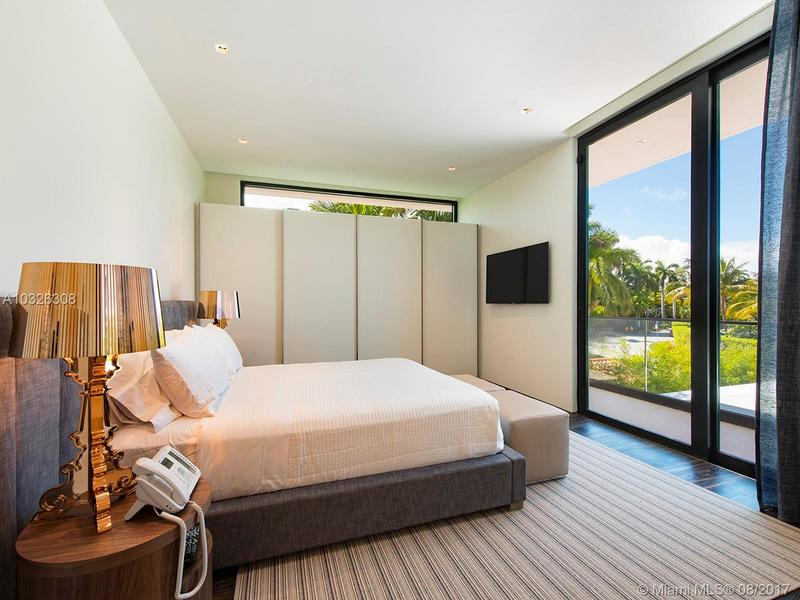 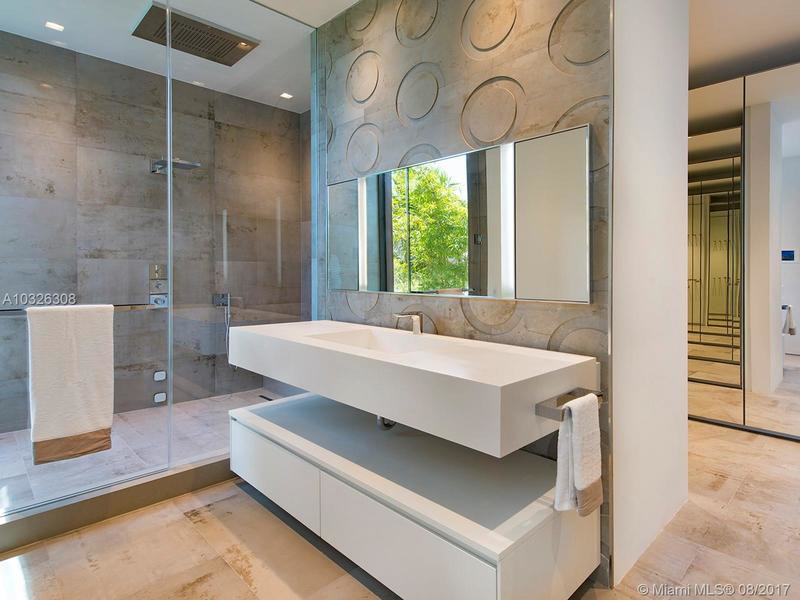 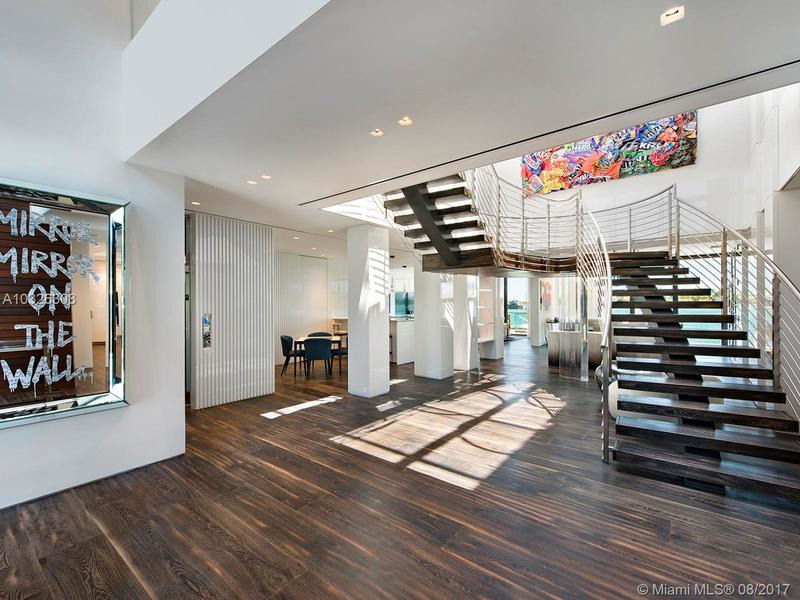 New modern waterfront home on Venetian Islands in Miami Beach, boasts 5 beds, 7.5 baths plus office and spa. 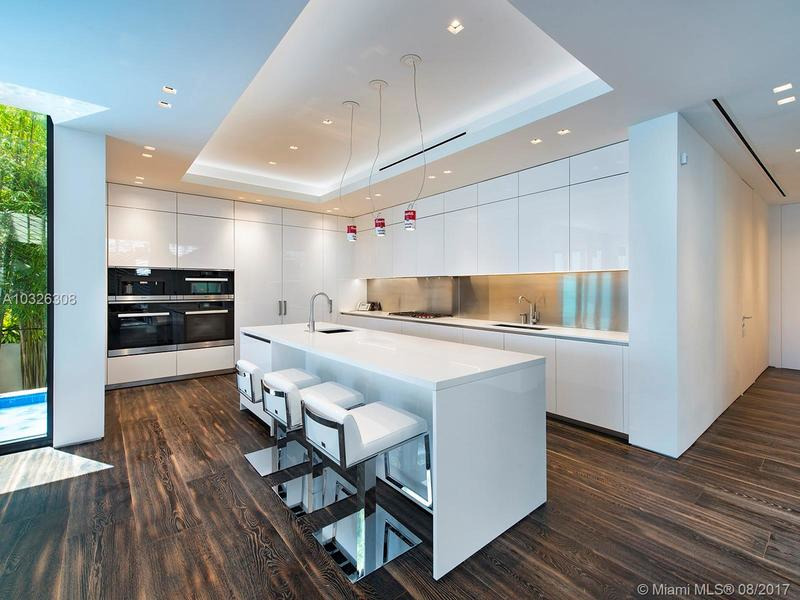 Lavish 7,026 sf with the finest finishes. 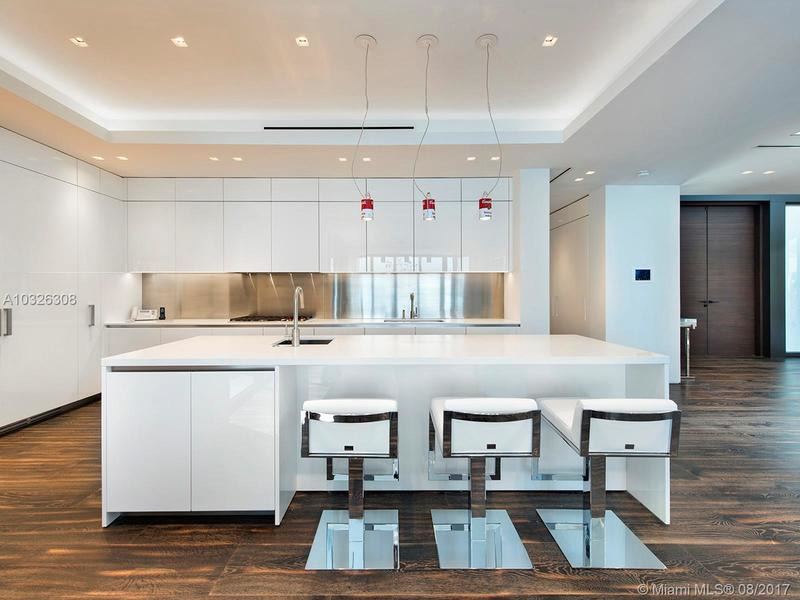 Stunning custom Boffi kitchen touts double Subzero and Miele appliances. 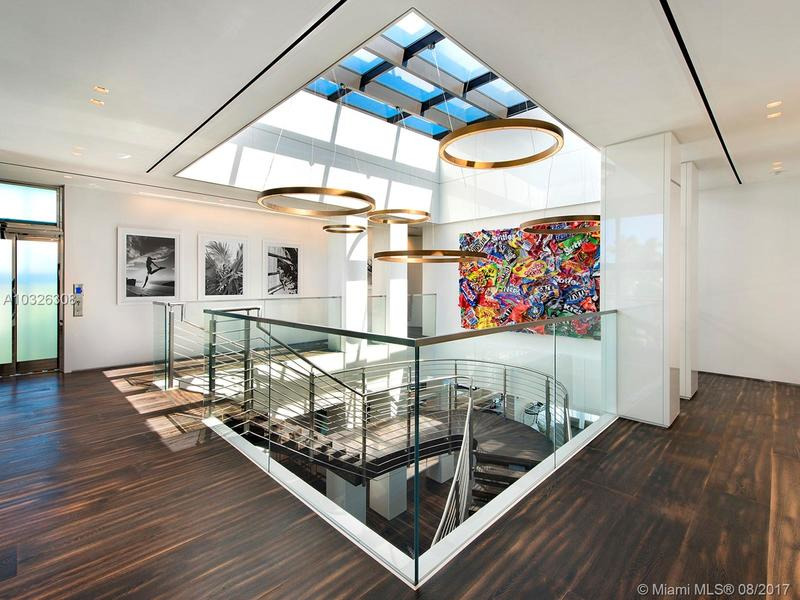 Ornare closets, elliptical staircase illuminated by a 300 sf skylight, cerused oak floors throughout, glass elevator, Savant Smart Home with 4 car garage with electric lifts. 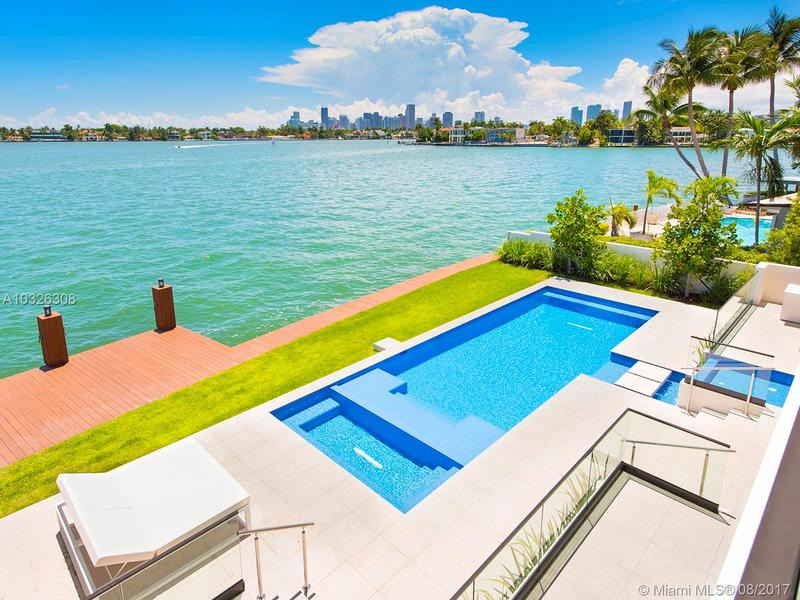 Venture outdoors and uncover a resort-style backyard with 107 ft of water frontage, no luxury spared.